It has been about 4 years since I last went to the optometrist and got glasses. So, it’s about time to get rechecked and get a new pair of glasses. I am thinking about getting big, fat, black RayBan hipster glasses. Talk me down from this. Otherwise, I’m just going to look pretentious. Maybe. 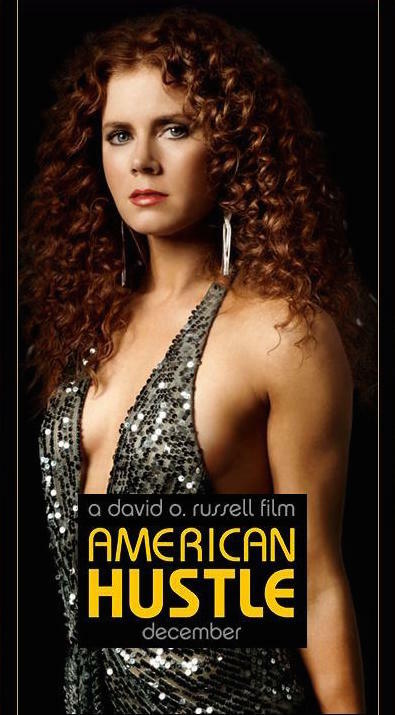 Or, I could look like Catharine Zeta Jones…you never know! I was sitting on the front porch, working on some newsletters, when Eve brought me a craft she put together. 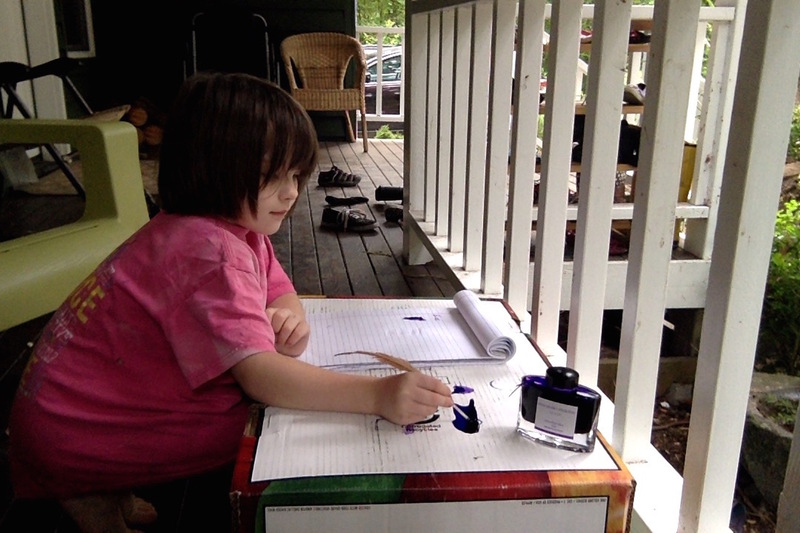 She brought me a chicken feather, a pad of paper, my purple iroshizuku ink, and my leatherman…and asked for a quill. This took a whole 1 minute to put together for her, and she is dipping and writing with her own quill! I am the rock. You’ll need to know that for later. Long day yesterday. Church women had a thing at the park today that I drug myself and the kids to, since I am trying to act normal around adults, and 30 other women. 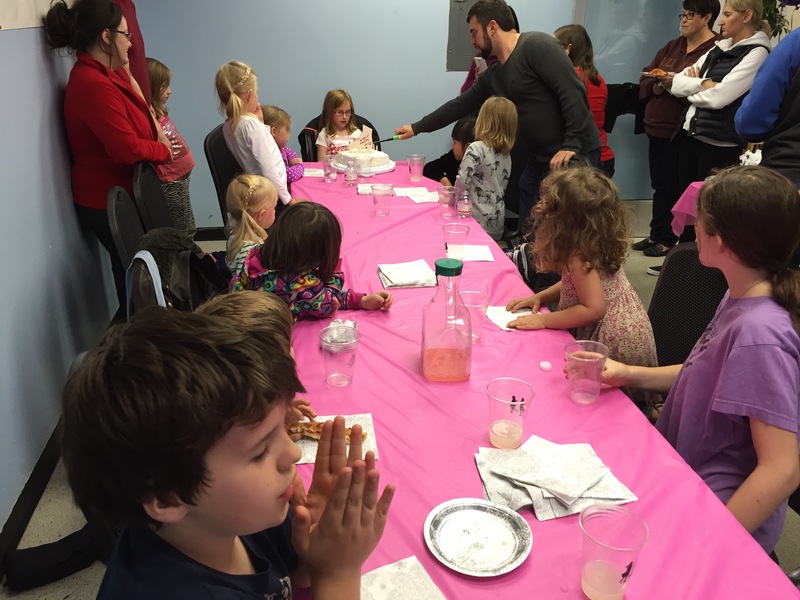 It was adult circle time: “Hi, my name is x, I have x kids. We live on x and our favorite thing is x.” It’s just group therapy at this point. And +30 kids were being supervised by two (maybe three) older kids in the park . . . which meant I was at the park, neurotically watching my kids, and acting like a spaz around the adults and trying to behave like a normal, chill, suburban mom in a totally chill crowd and also keeping an eye on my kids in the midst of an insane amount of 2-8 year olds who all look the same. 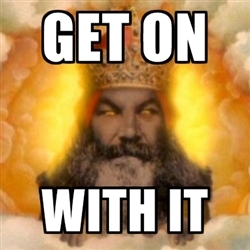 But once the “group” is more than five, and starts breeching into the “crowd” territory, I don’t do well. Maybe Stephen Fry is just my spirit animal, and I just have to take him to the circle-time picnics with me. I’m sure he would love that. One of the littlest girls had a weird dream last night, and maneuvered herself under her bed in her sleep…resulting in waking up under her bed at 4am, and completely freaking out. Which, I believe, is the correct response to waking up at 4am under your bed, when you are 3 years old. So, Nova and I helped her into her bed and they both fell back to sleep. I have never had that superpower, so I’ve made coffee, done a load of dishes, did some reading…and uploaded some pictures! 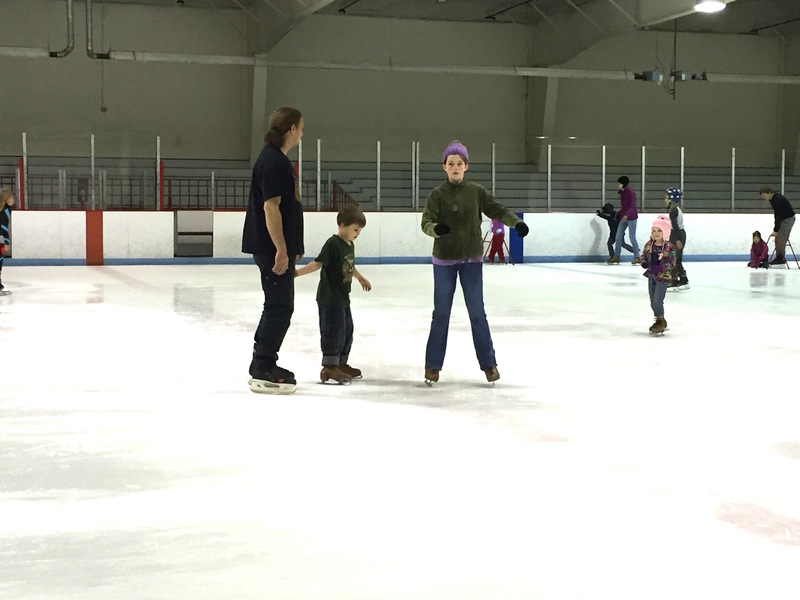 So, before I show you these pictures, I just want to make something clear: we don’t really ice skate that often. 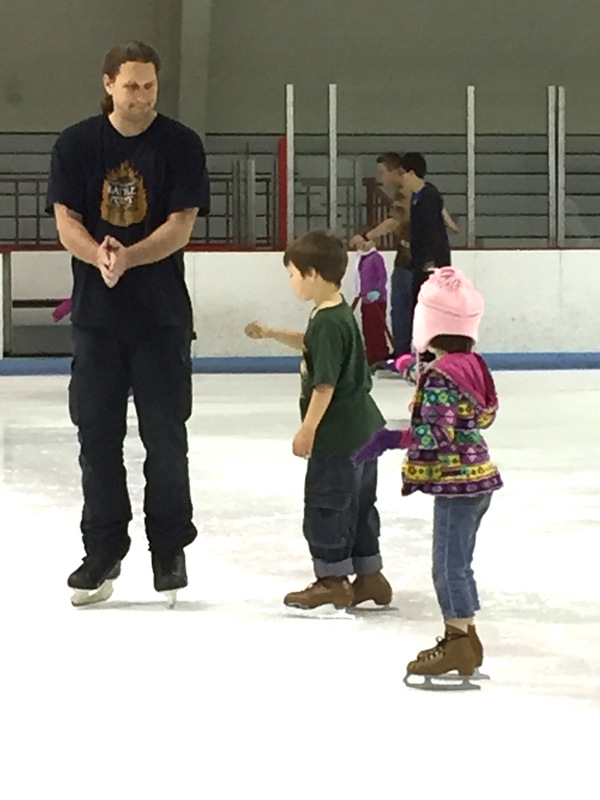 We definitely skate a couple times a year, and we all love ice skating (well, most of us do). 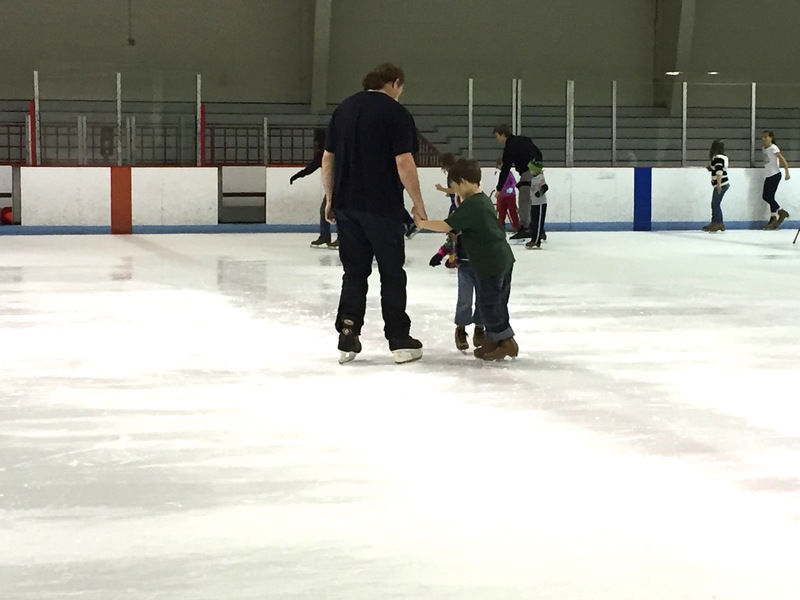 But when it comes down to choosing between going to the beach, or tromping around in the woods, or going exploring…and ice skating; unfortunately, even though we all love it (well, most of us), we will choose something else to do. 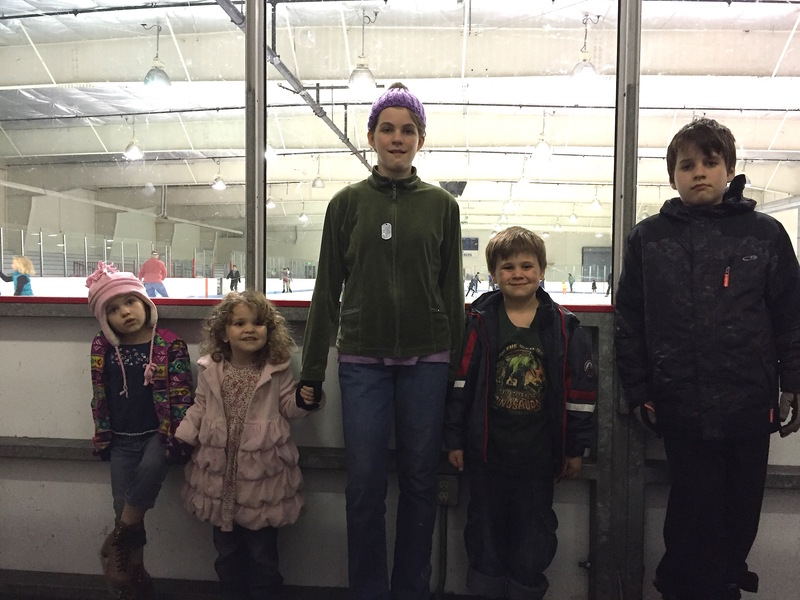 This all being said: we had a lovely time at our very good friend’s birthday party this weekend, and they had the brilliant idea of having it at an ice skating rink! Win-win for everyone (well, almost everyone). 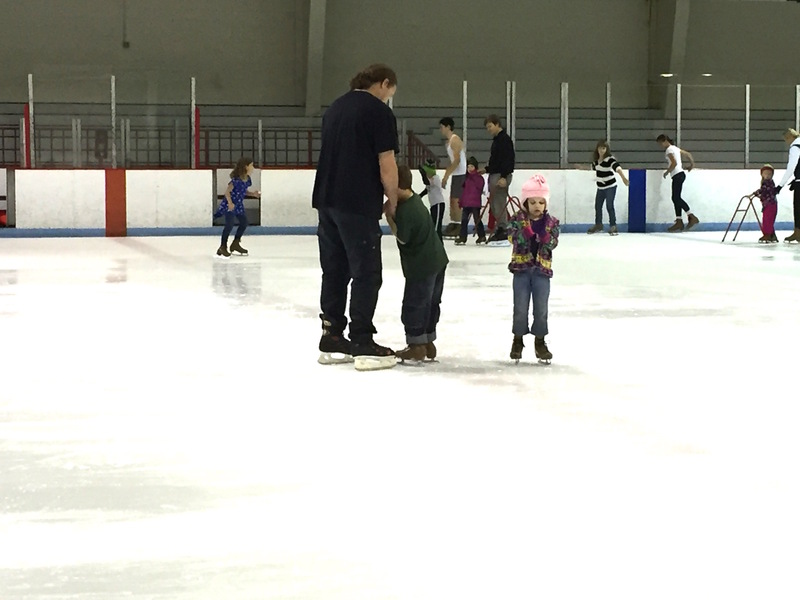 So, the thing with the girls and skating is that…we just don’t tell them they don’t know how to ice skate. 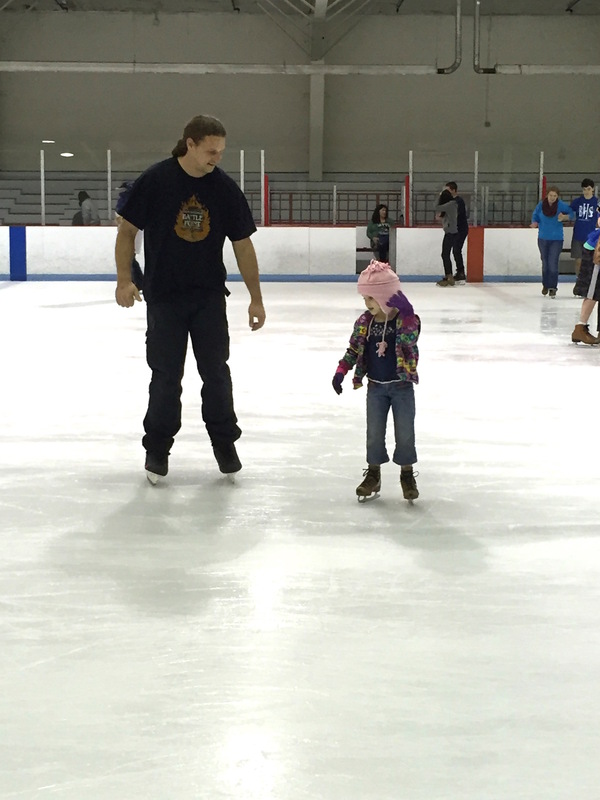 This is Eve’s first time on the ice without us, and she was doing twirls and turns and hanging out with her buddies. Like we do this all the time. Just chillin’ on the ice. Hangin’ with her peeps. 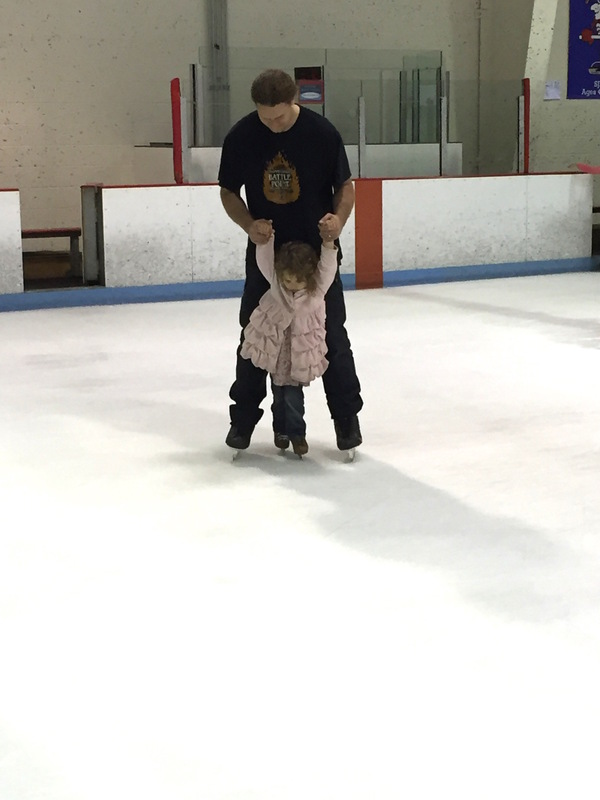 Nova is honestly very adept on the ice, and we should put her in lessons. The boys? 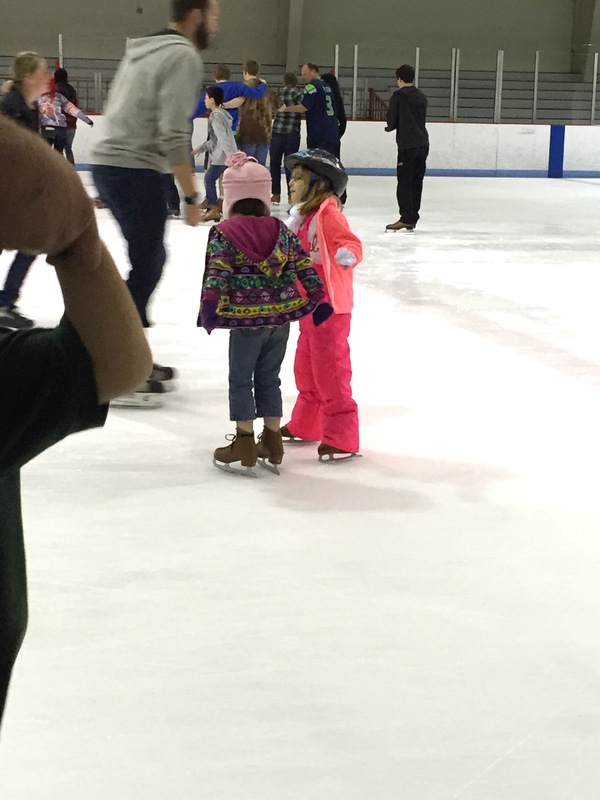 Enjoy the ice, but they skate like they are wearing evening slippers. Lots of shuffling. Dad, naturally, took the initiative to do some footwork lessons with them. Now, when I said not everyone enjoyed the ice…I was talking about Alice. 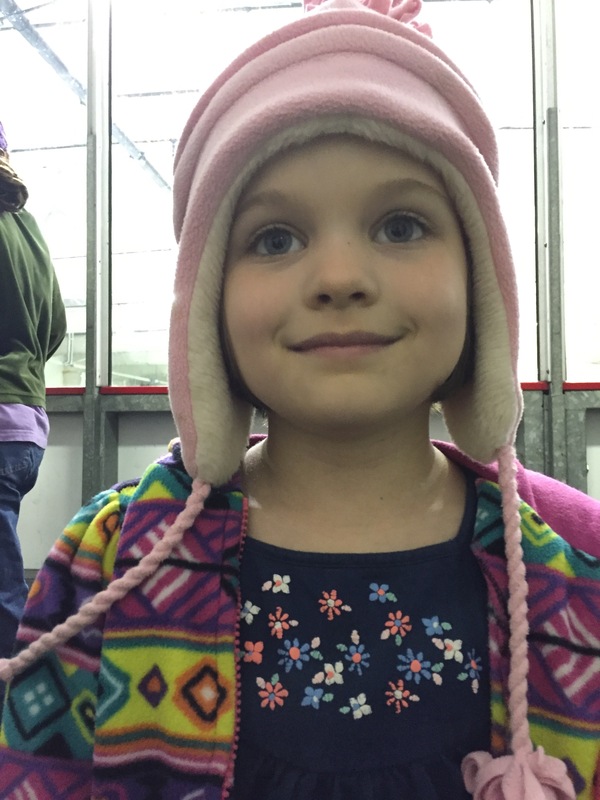 She was pretty certain she was going to die, and made sure everyone in the ice rink heard her over the music playing that she was “GOING TO DIE” because the ice was too slippery. 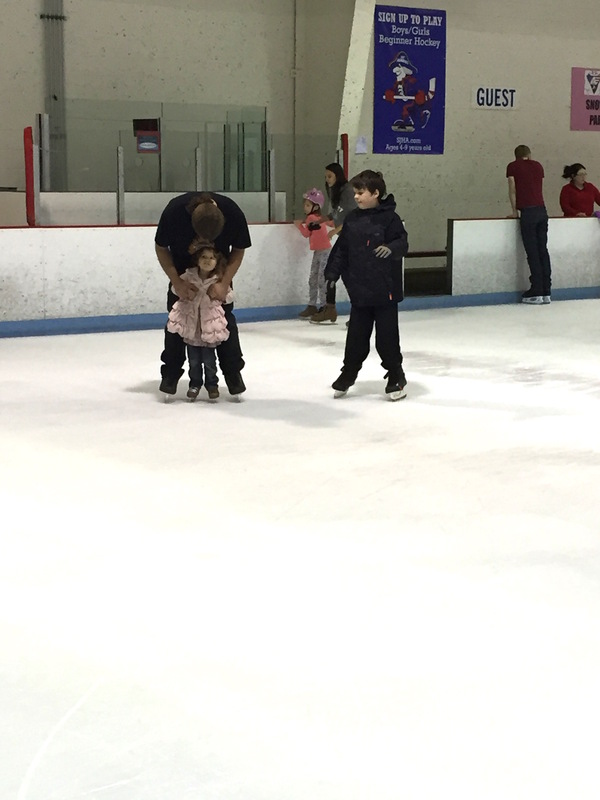 We got her out on the ice for a little while, but only if Dad was holding her. After that, we got some black coffee and water (because someone wasn’t being as responsible as she should have and went and gave herself a mild gluten reaction…WTG, me), and we went driving for a little bit through Union Lake area. 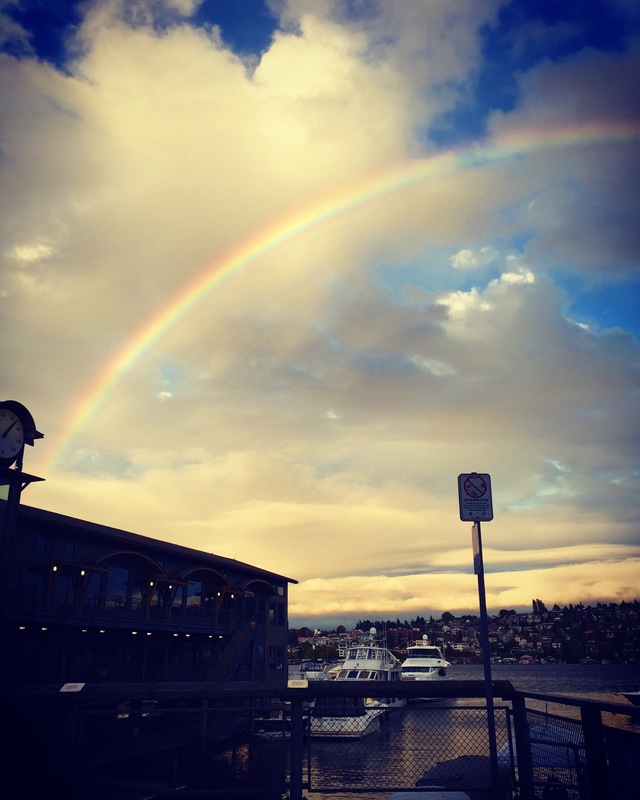 Did you know the Sleepless in Seattle houseboat is over here, and I had a great excuse to take a picture of it because there was a gigantic rainbow behind? So, if you’re wondering, it is here. And there are signs very clearly stating that this is a neighborhood and not a motion picture lot…so, shoo. But I just needed to see it because I love that movie, and I have watched it an embarrassing number of times, and I just had to find the house to see that it was real. It is a lot smaller than I expected, but it’s there! It is a very cute neighborhood though. The houseboats are the cutest little floating houses, and they are all laid out like they are in a suburb, and they have little floating planter boxes full of little flowers, and there are some “front yards” that have fountains running all along the house, and then the water just runs right into the water they are floating on. I could never live on a house boat because I would have nightmares of the house sinking every single night. But that is just my neurosis…these were seriously cute houses. 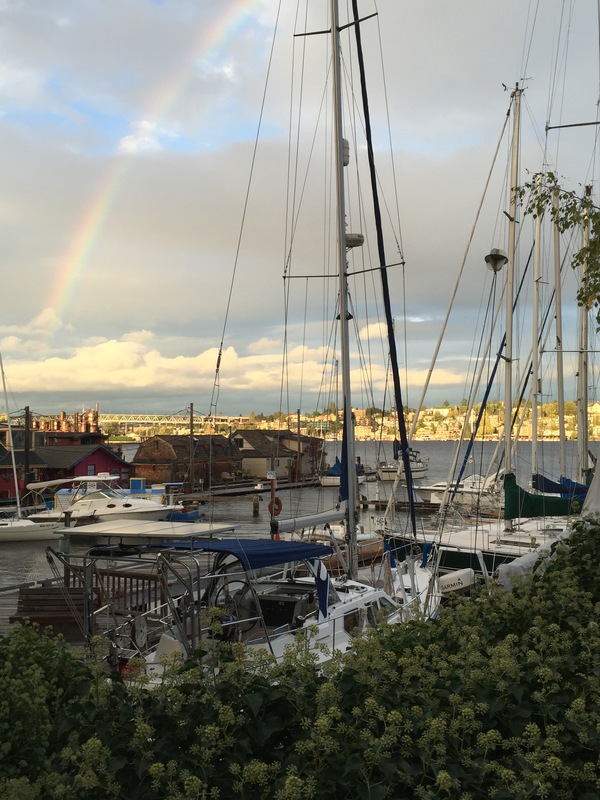 It is the house on the very end, behind all the masts. There are a lot more rainbows up here than I ever saw in California! Never really thought of that before! And that was our very lovely Sunday! Having Celiac means I am acutely aware of what I eat. Beer? …more gluten free than Udi’s gluten free bread. Figure that one out. For the most part, I make meals at home. From scratch. With whole ingredients. Cucumbers? Bell Peppers? Round things that look like I should know what it is? Looks like food to me! Not for any politico-philosophical reasons; it just works better for my diet. I don’t have to worry about contamination problems if I buy a potato, or wonder what is inside a carrot. But eating out is a whole other story. I don’t know how the chef is preparing the food, or if bread dust is floating around my salad, or if a sauce has flour in it. I mean, I will find out. I’ll just find out the hard way, unfortunately. There is a place here in town that claims to make gluten free almond flour cookies. And I will totally say: that was the best cookie I have had in a long time. Unfortunately, it was not as gluten free as they think, and I spent the next 5 hours struggling to breathe and my muscles were all clenched with a sprinkling of heart palpitations. It was so not fun. But I know that it is a risk every time I eat something that was made by someone else, in another kitchen, using ingredients I cannot see. The other night, for instance, we had dinner at a super fun restaurant filled with old couples, draped in red velvet and playing TCM with Robert Osborne on the TV hanging in the back while serving black coffee in beige coffee mugs. Listen, this is the kind of place I like. Be quiet. Their menu was very helpful and had a “(gf)” next to meals that were considered to be gluten free. So, I ordered the lemon chicken dish. Everything was fantastic, and gluten free…except for the fried onions placed on top of the whole meal. Gluten? On my gluten free dinner? Fun times!! So anyway, I just let the waiter know that you actually can’t put fried onions, that are putting little gluten crumbs all over everything, on a gluten free dish. He was cool and said he would “greatly chastise” the kitchen. Alright, alright. Keep your britches on. So, it does mean that there is a caravan of 7 people walking through Costco together…but we are quick and efficient, and we get it done within half an hour. Bada-bing, bada-boom. Outta there. After our trip to Costco, it was time for dinner…and there ain’t nothin’ you want to do after buying the food than making dinner. We were about to try Taco Time, since that is a huge thing up here, and we have never tried it; when suddenly, Ben suggested pancakes. And pancakes always win. Plus, there was an IHOP right across the street. IHOP is definitely a risky place for me, kind of for obvious reasons. Pancakes? Waffles? 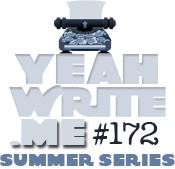 Hash browns fried on the same skillet as the pancakes? Omelettes also cooked on the gluten-laden skillet? It is just a recipe for contamination. However, I have found that communicating the word “Celiac” with the waiter usually makes the difference between getting gravy and croutons, or not getting gravy and croutons. Except for surprise fried onions, that weren’t supposed to be there in the first place: for the most part I can maneuver around restaurant menus pretty well. So, Ben ordered 5million pancakes and an omelette for the kids to split up; because those omelettes are the size of Nebraska, and everyone still eats until their bellies are full with just one Country Omelette. Seemed pretty gluten free and safe to me. But when it arrived, it was dripping with a sauce…and sauces always have flour. Always, always, always. So we beckon the poor waitress over, and ask her to inquire upon the ingredients of this sauce. Because you can’t scrape off sauce…I’ve tried before, and failed miserably. This is when things get scary. This is when the story actually begins. The manager comes over with the waitress, with a genuinely worried look on her face. ……..WHAAATTTT??!!!!!! Why is there pancake batter in the eggs? Holy crap, I was about to eat an entire gluten laden meal that would have destroyed me! This isn’t just a little problem where I take an alka seltzer for an upset stomach. This is a “I can’t breathe and my heart goes nuts….for hours” kind of problem. Holy crap, why is there pancake batter in the eggs. And it says it right there…after we rechecked the menu! It says it right there that they “put a splash of batter in the eggs, to make it more fluffy!” And I totally didn’t even see it. I thanked the manager profusely for letting me know, because that would have been so painful. That really was awesome on her part for noticing this and coming over and telling me. Because when I told the waitress that I needed a gluten free meal, and I ordered an omelette, it didn’t occur to her that the omelette was not a gluten free meal. So I am in deep gratitude for the manager realizing this. After this near miss, we started looking around the table at what we were eating. Maple syrup, that was not maple. Strawberry syrup, that had no strawberries. Blueberry syrup that has never seen a blueberry. Omelettes, that are actually pancakes. Cheese, that is mostly oil. Non-dairy creamer which was not begat from a dairy farm. Butter that we can’t believe is actually butter. Suddenly, looking around the table…I wasn’t sure we were actually eating food, at all. Besides the black coffee and bowl of grapes that they brought me, I cannot be entirely sure that anything we were feeding our kids actually had any actual food in the ingredient list. It is a little hyperbolic, but I could only think of the pink meat which was served to the citizens in 1984. Or the Soylent chips that was served to the population in Charlton Heston’s famous film. Or the ambiguous nature of packing plants that Upton Sinclair featured in his book, The Jungle. And the problem is that we don’t always see the pink meat if it is on our plate, or think about what is actually in the Soylent chips if we are given them by the store. Everyone else is eating them, and they aren’t dead, so they must be fine! For the most part, unless something radical happens to shift our perspective of the situation, we won’t realize that what we think, is not what it seems. 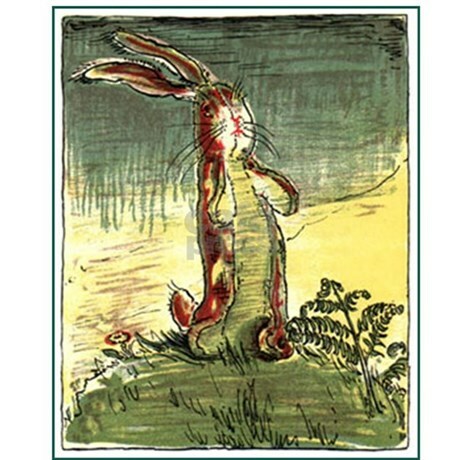 Until something shakes the foundations of a platform, it is impossible to see what is real, and what is a phony. And that is what Holden Caufield was railing against the whole time, in the first place. Phonies. The lot of you. Makes you kind of want to live a life that is a little more shaken. A little more real.